St. Cuthbert’s Land bring archaeology to life with a living encampment at Bamburgh Castle. They will be demonstrating military training as well as bringing to life the Anglo-Saxon lifestyle with ongoing cooking and weaving by their group. This entry was posted in E Newsletter and tagged Anglo-Saxon, Bamburgh, Festival of Archaeology 2015, St Cuthbert on July 1, 2015 by cbanorth. 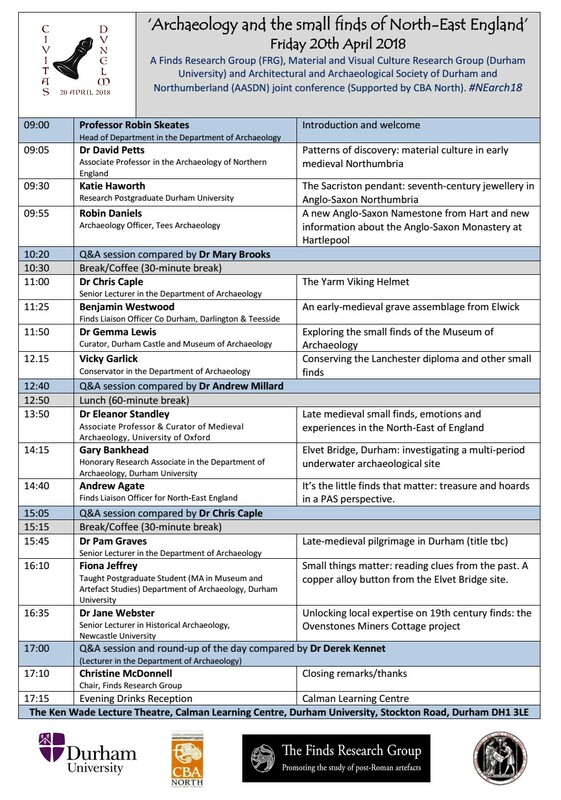 The Durham University Archaeology Society would like to invite everyone to a talk on pan-European brooches and the style, mortuary context and use of identity and the Cruciform Brooch in Early Anglo‐Saxon England by Doctor Toby Martin in Hatfield College Chapel, North Bailey, Durham at 13:00 for 13:15 on Saturday, 6 June 2015. Please feel free to publicise this widely (see the attached Poster – The lustre of power), with non-members bringing a pound please. Toby is working on women’s jewellery and dress as vehicles for constructing early medieval and transregional identities from the 4th to the 7th centuries AD. His research encompasses bow brooches in Europe and he seeks to identify changes and variations from areas such as Britain to the Black Sea and further. Please go to http://www.durhamsu.com/groups/archaeology–3 to find out more about the group. 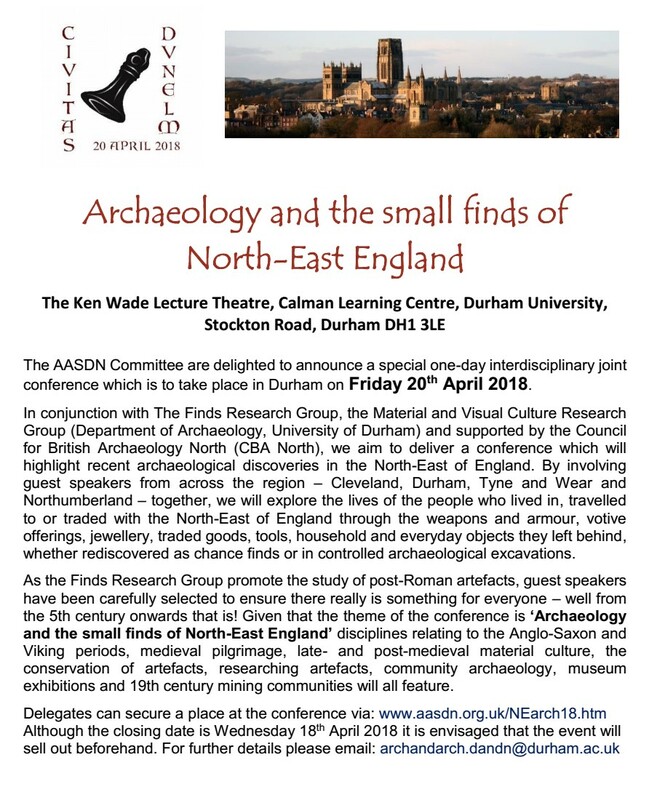 This entry was posted in E Newsletter and tagged Anglo-Saxon, Dress, Durham, Durham University, jewellery on June 3, 2015 by cbanorth.